Pre-trip research painted the citizens of Reykjavik as being a super-jeep driving, music loving, hot dog-eating, bar-hopping friendly lot. Yes, I got to experience three out of the four traits and if I hadn’t just narrowly missed their annual music fest, Iceland Airwaves, I would have experienced the 4th. More on the super-jeep loving part once I consolidate my South Coast of Iceland article, but let’s talk about the rest first. 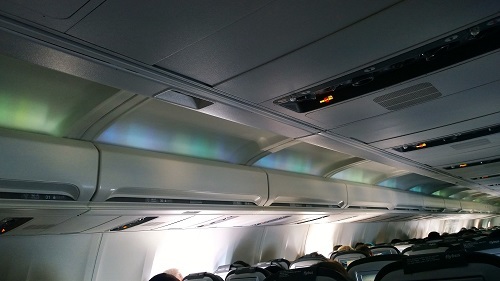 Arriving into Reykjavik in late October, jetlagged and dazed (we flew from Singapore to Amsterdam, then on an “aurora-lit” (inside of the cabins have aurora lights, so if I never saw it in reality, I could say I saw it on the plane) Icelandair flight, we had made bookings to visit the Blue Lagoon upon arrival. My overall experience at the Blue Lagoon doesn’t leave me wanting to say that it is a “must-do” but perhaps, in the day, in summer and when it’s not raining, it would have been a whole other viewpoint. Yes, we were there in the dark, in winter and in rain. So Blue Lagoon checked, the next day it was time to explore the sights of Reykjavik. Having had a restful night at our lovely apartment, Castle House Luxury Apartments, we walked to the National Museum of Iceland. 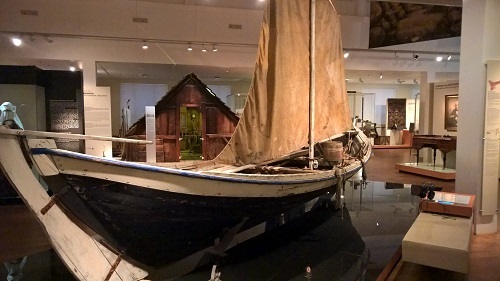 The National Museum is a great initial start to understanding about Iceland’s history. It takes you across the settlement ages to modern times where you can discover all sorts of facts from the DNA of Icelanders to realizing that Bjork must have been really young when she had her 1st album out in the 1970s! Now of course, food is the priority, so as soon as we were done with the serious museum visit, we headed on to the harbour area. 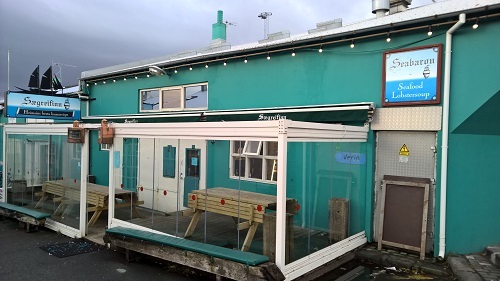 It’s lined with seafood shacks, the most popular being Saegreifinn (Seabaron). Okay, maybe famous because it was featured on Ainsley’s Eat the Streets, but still it has a curry-infused langoustine soup that is full of sweet morsels of meat. Even better, the range of fish kebabs waiting to be grilled. Take your pick from anything from halibut to monkfish and the ubiquitous cod. Actually, I think this is even better than the soup. By the way, the harbour area is also where the whale watching and puffin viewing trips depart from. 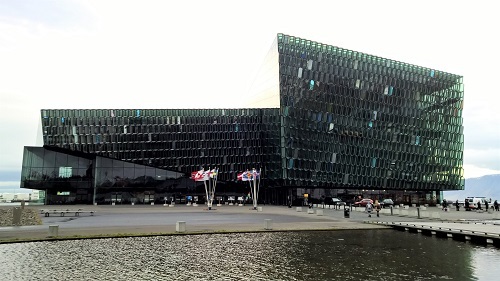 Nearby (actually, everything in Reykjavik is “nearby”), is Harpa – the city’s new concert hall. The geometric shapes are certainly dazzling, but if you ask me, I think the most interesting thing is the fact that this is the most modern building in a city full of way more charming sights. Then again, it’s along the way if you’re walking from the harbour past Harpa to the Viking ship structure, referred to as the Sun-Craft. I always called it the whale. I guess the bony ribs gave me that impression. After a jaunt along the short shopping street of Laugavegur, we ended off our first night at KOL. Rated highly by locals and online, this funky restaurant serves up gorgeous cocktails and yummy food. The next day, we visited Reykjavik 871 +/-2 The Settlement Exhibition – this is a museum designed around a Viking longhouse. It showcases the settlement of Iceland and gets you right up to speed on that. In case you’re wondering why 871 +/-2, the date is as such because the ground below the longhouse consists of volcanic ash that can be dated to that time. Across the museum is a live excavation site where archeologists are still uncovering Viking artifacts. Then, we went to uncover another Icelandic artifact, closer to our bellies. Baejarins Beztu hotdogs! There’s nothing quite like savouring a warm hotdog, drenched in curry mayonnaise, ketchup and fried onions while standing in the cold. Really! 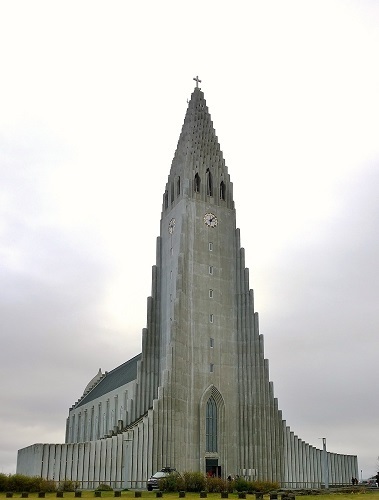 After that, it’s a visit to the most iconic visual image of Reykjavik – the Hallgrimskirka. The design of the church is fabulous – it is said to be inspired by the basaltic rock columns that you see around Iceland. The church took over 30 years to build and was just completed in 1974. In front of church is the statue of the Viking, Leifur Eiriksson, the 1st European to stumble across America. This church is also the tallest building in the city and you can take the elevator right to the top of the 75 metre tower to get a view of the city. And that’s about it for the main sights of Reykjavik. The most fun really is just walking along the colourful streets, stopping in a café or a bar for a drink and just relaxing. I was in Reykjavik for only 2 days, before setting off on my 3-day trip to the South coast and I think that was enough to cover the basics. On my return, I had another a night and a full day, all the more so to eat as I had some pretty awesome meals in Reykjavik. See my posts on Fiskmarkadurinn and Sushi Samba. And although we had gone away from the city in our South coast adventure, ironically, we never saw the aurora, but when we returned to the city, we had a last-ditch attempt and managed to see the Northern Lights! One full day in the city is enough before you embark on your day trips – whether it’s to the Golden Circle or activity specific like glacier walking, horse riding, snowmobiling etc. 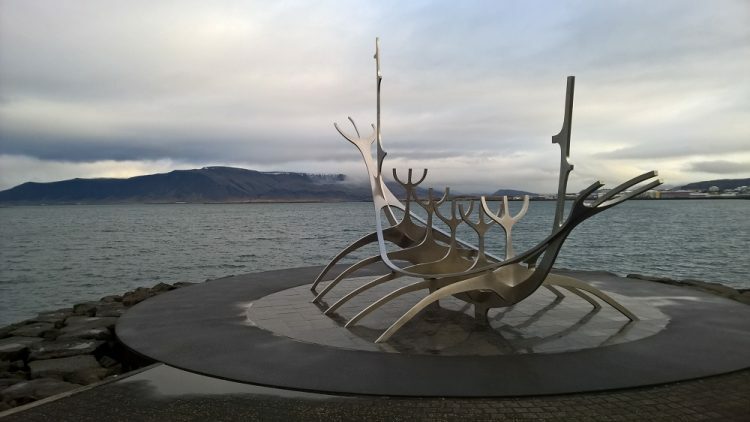 If you’re keen on the Northern Lights tours, just get onto one of the big bus excursions, example, Reykjavik Excursions, they are experts in where you can spot them and if you don’t see it on the 1st attempt, they let you go again for free. Our South Coast guide himself said no point to take smaller group tours or super-jeep tours for this, as it’s way pricier and you are not guaranteed a sighting. Ask them how the forecast is first before you go. 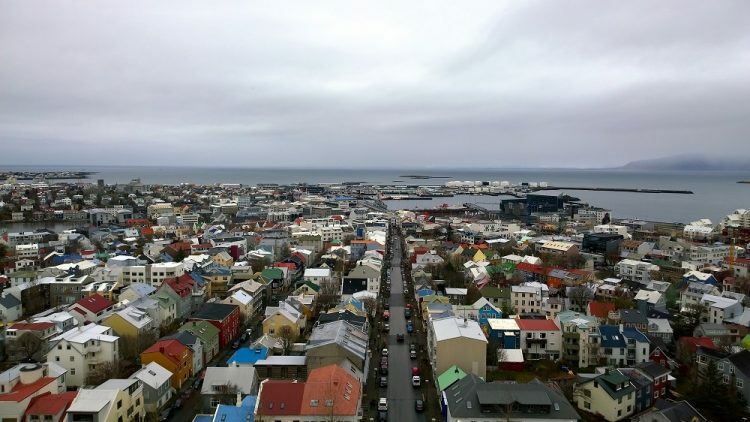 If you do head out of Reykjavik on a longer trip, it is nice to return to the city for one last day, just so you can pick up items you have spotted on your shopping recce and also so you can try another of its fabulous restaurants.